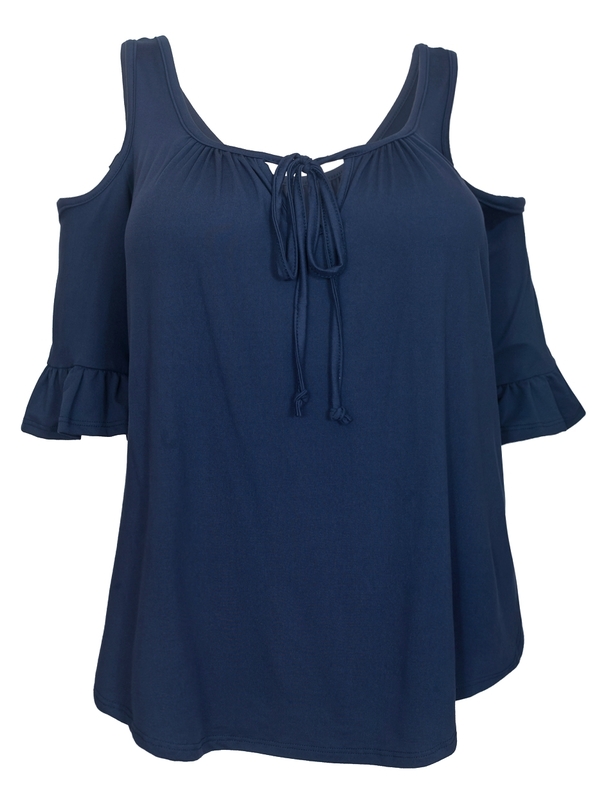 Women's blouse features half flutter sleeves with cold shoulder design. Round neckline. Spaghetti string detail. Relaxed fit. 1X has a length of 27 inches from shoulder to hem. Available in 1XL=Size 13/14, 2XL=Size 15/16, 3XL=Size 17/18.